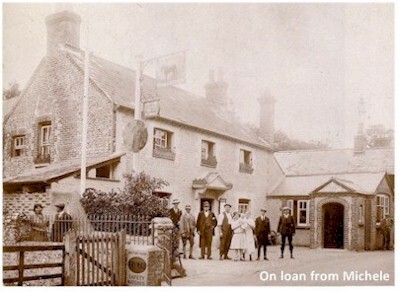 Originally a bough house*, only able to sell at special events with a special licence, it eventually become a full time pub & tea room catering to the newly mobile customer and their motor car. *Bough-house, m. A private house allowed to be open at fairs for the sale of liquor. The origin of this picture is a curious one. One day an old chap came in to the bar at the Selden Arms in Worthing and handed Michele (the landlady with a keen interest in pub history) a photographic negative which she had developed showing the picture we see today. That old chap was the babe in arms in the centre of the picture. He has never been seen since! 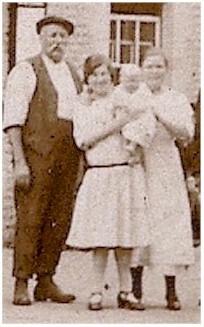 The older gentleman in the picture has been identified as Arthur Charman dating the image to the early 1900s. 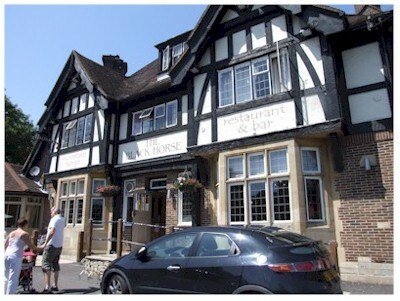 The Black Horse today is a very different building. 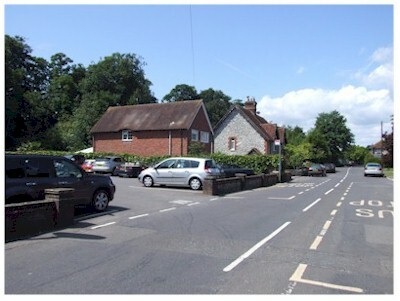 Built around 1939, it is a mock Tudor/Elizabethan style structure catering for the travelling public sited close to the A27 Findon by-pass. 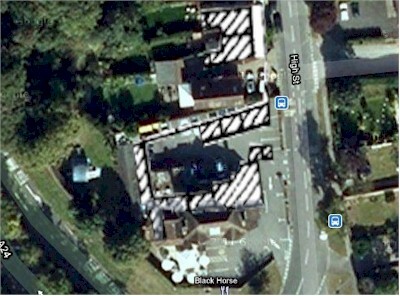 Using old maps, I have managed to superimpose the original building over the present site, revealing that the old Black Horse was in effect in the north car park of the current building. A picture sent in by Terry Norris showing his great grandfather Arthur George Charman with his brother. The company name is clearly visible on the cart behind them. This was used for local deliveries of beer in the area. Terry recalls his mother visiting the Black Horse Inn around 1926 at the age of 10 where she helped fill the hip baths for the visiting gentlemen. 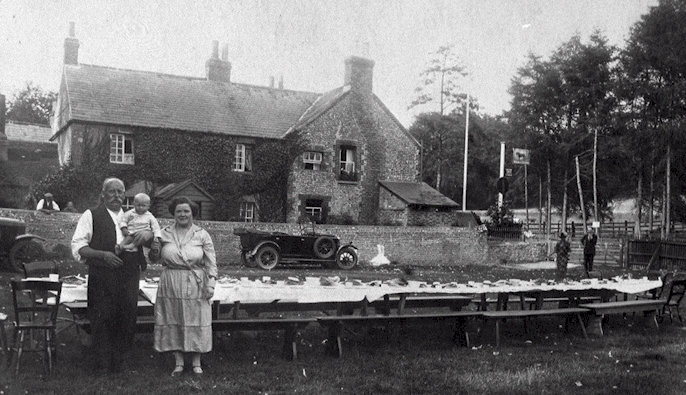 The Inn was always full on race days and was a popular haunt for jockeys. Terry isn't 100% sure if Arthur owned the Inn and may have only been the manager.